Wu Liyang., Feng Jinming*, and Miao W., 2018: Simulating the impacts of irrigation and dynamic vegetation over the North China Plain on regional climate. J. Geophys. Res. -Atmosphere, 123, 8017–8034. https://doi.org/10.1029/2017JD027784. 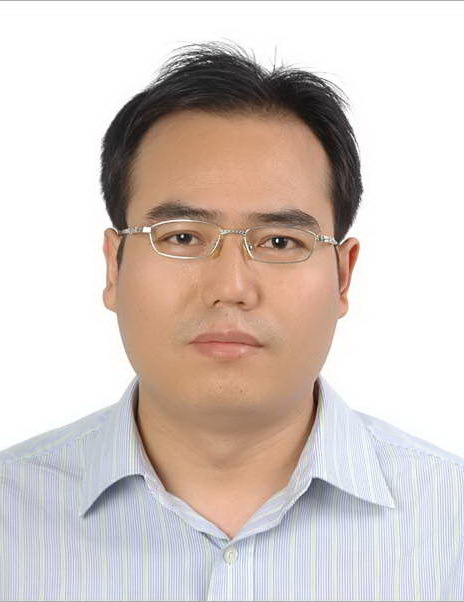 Luo Meng, Feng Jinming*, Xu Zhongfeng, Wang Yongli, 2018: Evaluating the performance of five 20th-century reanalysis datasets in reproducing the severe drought in northern China during the 1920s-1930s. Theor. Appl. Climatol., https://doi.org/10.1007/s00704-018-2591-5. Wang Jun, Feng Jinming*, Yan Zhongwei, 2018：Impact of extensive urbanization on summertime rainfall in the Beijing region and the role of local precipitation recycling. J. Geophys. Res. -Atmosphere, 123, 3323-3340, doi:10.1002/2017JD027725. Wang Yongli, Feng Jinming*, Z. Zheng, S. Jin, 2018: Sensitivity of the Weather Research and Forecasting Model to radiation schemes in China，J. Trop. Meteorol., accepted. Wang Jun, Yan Zhongwei, and Feng Jinming, 2018: Exaggerated effect of urbanization in diurnal temperature range via ‘Observation Minus Reanalysis’ and the physical causes, J. Geophys. Res. -Atmosphere, 123, 7223-7237, doi: 10.1029/2018JD028325. Liu Xiaojuan, Tian Guangjing, Feng Jinming, Wang Jun, Kong LQ, 2018: Assessing summertime urban warming and the cooling efficacy of adaptation strategy in the Chengdu-Chongqing metropolitan region of China. Science of The Total Environment, 610: 1092-1102. Liu Xiaojuan, Tian Guangjing, Feng Jinming, Ma BR, Wang Jun, Kong LQ. 2018: Modeling warming impact of urban land expansion on hot weather using the Weather Research and Forecasting model: a case study of Beijing, China. Advances in Atmospheric Sciences, 35(6) ,723-736, doi: 10.1007/s00376-017-7137-8. Zhang Yong, Zhang Lejian, Guo Jianping, Feng Jinming, Zhou Qing, Li Liangxu, Li Bai, Lou Mengyun, 2018: The Climatology of Cloud Base Height from Long-term Radiosonde Measurements in China, Advances in Atmospheric Sciences, 35 (2), 158-168, doi: 10.1007/s00376-017-7096-0. Liu Yonghe, Feng Jinming, Liu Xiu, Zhao Yadi，2017: A method for deterministic statistical downscaling of daily precipitation at a monsoonal site in Eastern China, Theor. Appl. Clim. doi: 10.1007/s00704-017-2356-6. Wang Jun, Tett Simon, Yan Zhongwei, Feng Jinming，2017: Have human activities changed the frequencies of absolute extreme temperatures in eastern China? Env. Res. Lett.，13(1), doi: 10.1088/1748-9326/aa9404. Wang Jun, Yan Zhongwei, Quan Xiaowei, and Feng Jinming, 2017: Urban Warming in the 2013 summer heat wave in eastern China. Clim. Dyn., 48(9-10): 3015-3033, DOI: 10.1007/s00382-016-3248-7. Lin Shan, Feng Jinming*, Wang Jun, and Hu Yonghong 2016: Modeling the contribution of long-term urbanization to temperature increase in three extensive urban agglomerations in China, J. Geophys. Res. Atmos., 121, 1683-1697, doi: 10.1002/2015JD024227. Wang Jun, Feng Jinming*, Yan Zhongwei, and Wu Qizhong, 2016: Impact of Anthropogenic Aerosols on Summer Precipitation in the Beijing-Tianjin-Hebei Urban Agglomeration in China: Regional Climate Modeling using WRF-Chem, Adv. Atmos. Sci., 33(6), 753-766, doi:10.1007/s00376-015-5103-x. Que Linjing, Que Weilun, Feng Jinming*, 2016: Intercomparison of different physics schemes in the WRF model over the Asian summer monsoon region, Atmos. Oceanic Sci. Lett., 9 (3),169-177, doi: 10.1080/16742834.2016.1158618. Yang Shili, Dong Wenjie, Chou Jieming, Feng Jinming, Wei Zhigang, Guo Yan, Wen Xiaohang, Wei Ting, Tian Di, Zhu Xian, Yang Zhiyong, 2016: Global warming projections using the human–earth system model BNU-HESM1.0, Sci. Bull. DOI 10.1007/s11434-016-1176-x. Feng Jinming, Wang Yongli, and Ma Zhuguo, 2015: Long-term simulation of large-scale urbanization effect on the East Asian monsoon, Climatic Change, 129(3-4): 511-523, doi: 10.1007/s10584-013-0885-2. Feng Jinming, Liu Yonghe, and Yan Zhongwei, 2015: Analysis of surface air temperature warming rate of China in the last 50 years (1962-2011) using K-means clustering, Theor. Appl. Climatol., 120(3-4): 785-796, doi: 10.1007/s00704-014-1216-x. Wang Jun, Feng Jinming*, and Yan Zhongwei, 2015: Potential Sensitivity of Warm Season Precipitation to Urbanization Extents: Modeling Study in Beijing–Tianjin– Hebei Urban Agglomeration in China, J. Geophys. Res.-Atmosphere, 120(18): 9408-9425, doi: 10.1002/2015JD023572. Yang Shili, Dong Wenjie, Chou Jieming, Feng Jinming, YAN Xiaodong, WEI Zhigang, YUAN Wenping, GUO Yan, TANG Yanli, and HU Jiacong, 2015: A brief introduction to BNU-HESM1.0 and its earth surface temperature simulations. Adv. Atmos. Sci., 32 (12), 1683–1688, doi: 10.1007/s00376-015-5050-6. Yonghong Hu, Gensuo Jia, Christine Pohl, Qiang Feng, Yuting He, Hao Gao, Ronghan Xu, John van Genderen, Jinming Feng, 2015: Improved monitoring of urbanization processes in China for regional climate impact assessment, Environ. Earth. Sci., 73 (12): 8387–8404, doi: 10.1007/s12665-014-4000-4. Xinmin Zeng, Min Chen, Lizhi Wang, 2015: Regional integrated environmental modeling system: development and application, Climatic Change, 129 (3-4): 499–510, doi: 10.1007/s10584-013-0973-3. Yang Chen, Wenping Yuan, Jiangzhou Xia, Joshua B. Fisher, Wenjie Dong, Xiaotong Zhang, Shunlin Liang, Aizhong Ye, Wenwen Cai, Jinming Feng, 2015: Using Bayesian model averaging to estimate terrestrial evapotranspiration in China, J. Hydrology, 528: 537–549. Feng Jinming, Wang Jun, and Yan Zhongwei, 2014: Impact of anthropogenic heat release on regional climate in three vast urban agglomerations in China. Adv. Atmos. Sci., 31(2), 363–373, doi: 10.1007/s00376-013-3041-z. Feng Jinming, Wei Ting, Dong Wenjie, Wu Qizhong, and Wang Yongli, 2014: CMIP5/AMIP GCM simulations of East Asian summer monsoon，Adv. Atmos. Sci., 31(4), 836–850, doi: 10.1007/s00376-013-3131-y. Wang Yongli, Feng Jinming*, and Gao Hao, 2014: Numerical simulation of the land use and land cover change influencing on regional climate in China using WRF model, Theor. Appl. Clim., 115(1-2): 141-152, doi: 10.1007/s00704-013-0879-z. Liu Yonghe, Feng Jinming*, and Ma Zhuguo, 2014: An analysis of historical and future temperature fluctuations over China based on CMIP5 simulations. Adv. Atmos. Sci., 31(2), 457–467, doi: 10.1007/s00376-013-3093-0. Yang Shili, Feng Jinming*, Dong Wenjie, et al., 2014: Analyses of extreme climate events over China based on CMIP5 historical and future simulations. Adv. Atmos. Sci., 31(5), 1209–1220, doi: 10.1007/s00376-014-3119-2. Ji Duoying, Wang Lanning, Feng Jinming, Wu, Q., Cheng, H., Zhang, Q., Yang, J., Dong, W., Dai, Y., Gong, D., Zhang, R.-H., Wang, X., Liu, J., Moore, J. C., Chen, D., and Zhou, M., 2014: Description and basic evaluation of Beijing Normal University Earth System Model (BNU-ESM) version 1, Geosci. Model Dev., 7, 2039-2064, doi:10.5194/gmd-7-2039-2014. Chen Hongping, Jia Gensuo, Feng Jinming, and Dong Yansheng, 2014: Increased Browning of Woody Vegetation Due to Continuous Seasonal Drought in Yunnan Province, China, Atmos. Oceanic Sci. Lett., 7, 120-125, doi: 10.3878/j.issn.1674-2834.13.0070. Chen Yang, Xia Jiangzhou, Liang Shunlin, Feng Jinming, Fisher Joshua B., Li Xin, Li Xianglan, Liu Shuguang, Ma Zhuguo, Miyata Akrira, Mu Qiaozhen, Sun Liang, Tang Jianwei, Wang Kaicun, Wen Jun, Xue Yueju, Yu Guirui, Zha Tonggang, Zhang Li, Zhang Qiang, Zhao Tianbao, Zhao Liang, Yuan Wenping, 2014: Comparison of satellite-based evapotranspiration models over terrestrial ecosystems in China. Remote Sensing of Environment, 140, 279-293. Li Xianglan, Liang Shunlin, Yuan Wenping, Yu Guirui, Cheng Xiao, Xia Jiangzhou, Zhao Tianbao, Feng Jinming, et al., 2014: Estimation of evapotranspiration over the terrestrial ecosystems in China, Ecohydrology, 7 (1): 139-149, doi: 10.1002/eco.1341. Wenping Yuan, Dan Liu, Wenjie Dong, Shuguang Liu, Guangsheng Zhou, Guirui Yu, Tianbao Zhao, Jinming Feng, Zhuguo Ma, Jiquan Chen, Yang Chen, Shiping Chen, Shijie Han, Jianping Huang, Linghao Li, Huizhi Liu, Shaoming Liu, Mingguo Ma, Yanfeng Wang, Jiangzhou Xia, Wenfang Xu, Qiang Zhang, Xinquang Zhao and Liang Zhao, 2014: Multiyear precipitation reduction strongly decreases carbon uptake over northern China. Journal of Geophysical Research: Biogeosciences, 119, 881–896, doi: 10.1002/2014JG002608. Feng Jinming, Wang Yongli, and Fu Congbin, 2013: The common principal component analyses of multi-RCMs, Atmospheric and Oceanic Science Letters, 6 (1), 14−20. Liu Yonghe, Zhan Kexin, Zhang Wanchang, Shao Yuehong, Pei Hongqin, and Feng Jinming, 2013: Multifractal analysis of 1-min summer rainfall time series from a monsoonal watershed in eastern China. Theor. Appl. Climatol., 111, 37-50, doi 10.1007/s00704-012-0627-9. Huang Guanghui, Wang Weizhen, Zhang Xiaotong, Liang Shunlin, Liu Shaomin, Zhao Tianbao, Feng Jinming, and Ma Zhuguo, 2013: Preliminary validation of GLASS-DSSR products using surface measurements collected in arid and semi-arid regions of China. International Journal of Digital Earth, 6, 20-68, doi:10.1080/17538947.2013.825655. Wang Xufeng, Ma Mingguo, Li Xin, Song Yi, Tan Junlei, Huang Guanghui, Zhang Zhihui, Zhao Tianbao, Feng Jinming, Ma Zhuguo, Wei Wei, and Bai Yanfen, 2013: Validation of MODIS-GPP product at 10 flux sites in northern China, International Journal of Remote Sensing, 34 (2), 587-599, doi:10.1080/01431161.2012.715774. Li Xianglan, Liang Shunlin, Yu Guirui, Yuan Wenping, Cheng Xiao, Xia Jiangzhou, Zhao Tianbao, Feng Jinming, et al., 2013: Estimation of gross primary production over the terrestrial ecosystems in China, Ecological Modelling, 261-263, 80-92. Feng Jinming, Wang Yongli, Ma Zhuguo, and Liu Yonghe, 2012: Simulating the regional impacts of urbanization and anthropogenic heat release on climate across China, J. Clim. 25(20), 7187-7203, doi: 10.1175/JCLI-D-11-00333.1. Wang Jun, Feng Jinming*, Yan Zhongwei, Hu Yonghong, and Jia Gensuo, 2012: Nested high-resolution modeling of the impact of urbanization on regional climate in three vast urban agglomerations in China, J. Geophys. Res., 117, D21103, doi: 10.1029/2012JD018226. Ting Wei, Shili Yang, John C. Moore, Peijun Shi, Xuefeng Cui, Qingyun Duan, Bing Xu, Yongjiu Dai, Wenping Yuan, Xin Wei, Zhipeng Yang, Tijian Wen, Fei Teng, Yun Gao, Jieming Chou, Xiaodong Yan, Zhigang Wei, Yan Guo, Yundi Jiang, Xuejie Gao, Kaicun Wang, Xiaogu Zheng, Fumin Ren, Shihua Lv, Yongqiang Yu, Bin Liu, Yong Luo, Weijing Li, Duoying Ji, Jinming Feng, Qizhong Wu, Huaqiong Cheng, Jiankun He, Congbin Fu, Duzheng Ye, Guanhua Xu, and Wenjie Dong, 2012: Developed and developing world responsibilities for historical climate change and CO2 mitigation. Proc Natl Acad Sci USA, 109: 12911-12915. Feng Jinming, Dong-Kyou Lee, Congbin Fu, Jianping Tang, Yasuo Sato, Hisashi Kato, John L. Mcgregor, and Kazuo Mabuchi, 2011: Comparison of four ensemble methods combining regional climate simulations over Asia, Meteor. Atmos. Phys. 111(1-2), 41-53. doi: 10.1007/s00703-010-0115-7. Feng Jinming, Wang Yongli, and Fu Congbin，2011: Simulation of Extreme Climate Events over China with Different Regional Climate Models, Atmospheric and Oceanic Science Letters, 4 (1), 47-56. Zhang Anzhi, Jia Gensuo, Wang Hesong, Zhao Tianbao, Feng Jinming, and Ma Zhuguo, 2011: Evaluation of AMSR-E-Derived soil moisture over northern China. Atmospheric and Oceanic Science Letters, 4 (4), 223-228. Leonard M. Druyan, Feng Jinming, Kerry H. Cook, Xue Yongkang, et al., 2010: The WAMME regional model intercomparison study, Climate Dynamics, 35(1), 175-192. doi: 10.1007/s00382-009-0676-7. Wang Hesong, Jia Gensuo, Fu Congbin, Feng Jinming, Zhao Tianbao, Ma Zhuguo, 2010: Deriving maximal light use efficiency from coordinated flux measurements and satellite data for regional gross primary production modeling, Remote Sensing of Environment, 114(10), 2248-2258. doi: 10.1016/j.rse.2010.05.001. Boone, A., I. Poccard-Leclerq, Xue Yongkang, Feng Jinming, 2010: Evaluation of the WAMME model surface fluxes using results from the AMMA land-surface model intercomparison project, Climate Dynamics. 35(1), 127-142. doi: 10.1007/s00382-009-0653-1. Xue Yongkang, Fernando De Sales, W. K-M Lau, Aaron Boone, Feng Jinming, et al., 2010: Intercomparison and analyses of the climatology of the West African Monsoon in the West African Monsoon Modeling and Evaluation project (WAMME) first model intercomparison experiment, Climate Dynamics, 35(1), 3-27. doi 10.1007/s00382-010-0778-2. Wang Hesong, Jia Gensuo, Feng Jinming, Zhao Tianbao, and Ma Zhuguo, 2010: Modeling gross primary production by integrating satellite data and coordinated flux measurements in arid and semi-arid China, Atmospheric and Oceanic Science Letters, 3(1), 7−13. Feng Jinming, and Fu Congbin, 2006: Inter-comparison of 10-year precipitation simulated by several RCMs for Asia, Adv. Atmos. Sci., 23(4), 531-542. Liu Liping, Feng Jinming, Chu Rongzhong, Zhou Yunjun, K.Ueno, 2002: The diurnal variation of precipitation in monsoon season in the Tibetan Plateau, Adv. Atmos. Sci., 19(2), 365-378. 符传博, 丹利, 冯锦明，彭静，营娜，2018：我国对流层二氧化碳非均匀动态分布特征及其成因，地球物理学报，61（1）： 4373-4382， doi: 10.6038/cjg2018L0266. 武利阳，左洪超，冯锦明. 2018. 华北平原地下水灌溉对区域气候影响的数值模拟. 气象学报，76(4): 635–648，DOI: 10.11676/qxxb2018.017. 张 驰，范广洲，马柱国，程炳岩，赵天保，冯锦明，王鹤松，2015：半干旱区典型下垫面反照率特征的初步分析，高原气象，34 (4) : 1029-1040. 刘永和, 冯锦明, 邵月红, 徐精文，2014: 适于CUDA并行处理的扫描推进式DEM洼地填充算法，测绘科学, Web online. 吴其重，冯锦明*，董文杰，王兰宁，纪多颖，程华琼. BNU-ESM模式及其开展的CMIP5试验介绍，气候变化研究进展，2013, 9 (4): 291-294. 刘永和，严中伟，冯锦明等，2013：基于TIGGE 资料的沂沭河流域6 小时降水集合预报能力分析，大气科学, 37 (3), 539–551, doi:10.3878/j.issn. 1006-9895.2012.11078. 曹丽娟，董文杰，张勇，冯锦明，2013：未来气候变化对黄河流域水文过程的影响. 气候与环境研究, 18 (6), 746–756, doi:10.3878/j.issn.1006-9585.2013. 12071. 周筠珺，陈成品，刘黎平，楚荣忠，冯锦明，张彤，宋新民，M. Kajikawa, H. Fujii, Y. Aoi, T. Koike, S. Shimizu, K. Ueno, 2000：青藏高原那曲地区冰雹天气系统中的大气电场，高原气象，19 (3), 339-347. Cao Lijuan, Dong Wenjie, Feng Jinming, 2010: Streamflow simulation over the Yellow River basin using two different resolution of the LRM with RIEMS. In: Water in Agriculture: Challenges, Technological Solutions & Innovations. Science Press, Beijing, China. pp186-196. Fu Congbin, Feng Jinming, Wang Shuyu, 2008: Regional climate modeling of China and East Asia. Chapter 9, Regional climate studies of China. Springer, 345-408. Zhou Tianjun, Wen Xinyu, Huang Jianbin, Feng Jinming, 2007: Model simulation of the climate of China, Chapter 11, Climate of China, Wang Shaowu and Li Weijing EDS. China Meteorological Press, 359-391.